We haven’t met. But I’ve been following your ministerial career with some interest, since just before the last election. those ridiculous research grants that leave taxpayers scratching their heads wondering just what the Government was thinking. You gave four examples of ARC funded “projects that do little, if anything, to advance Australians [sic] research needs.” As I discussed on this site at the time, two of those four were projects in my field, philosophy. Of course, ARC funding is insanely competitive, so those projects were more or less by definition world class contributions to the discipline. Yet you chose to ridicule them – and, by extension, the life’s work of people like me – all the same. Can you believe that was only two years ago? My, what a roller coaster it’s been for you: winning the election, becoming Assistant Minister (not, as you insisted to Raphael Epstein that time, a ‘junior minister’ even though that’s a common and well-understood term) for Infrastructure and Regional Development, busting a leg tackling the newly deposed PM, being made Minister for Cities and the Built Environment. As your new boss might have said, surely there was never a more exciting time to be Jamie Briggs. And then, seemingly out of nowhere, you had to resign after inappropriate behaviour towards a public servant in a bar in Hong Kong. So clearly you’ve been busy, and I doubt you’ve had much time to revisit the question of what does and doesn’t count as a valid area of research. But what I’d urge you to do, now that you’re back to constituency business and maybe have a little time on your hands, is to find out a bit more about what you knocked back then. Perhaps, in your enthusiasm to win the election, you were a bit too hasty. Perhaps philosophy was the answer all along. There’s certainly precedent for those in your profession. Plato, after all, insisted the rulers of the ideal state should be trained philosophers. The likes of Cicero, Seneca, and the philosopher-king Marcus Aurelius all managed to meld the life of the mind and the affairs of state, to the benefit of both. As a Liberal, you’ll surely appreciate the Harm Principle – the cornerstone of modern liberalism – formulated by J.S. Mill, who served one term as an MP. But as you can confirm, politics is also brutal and full of setbacks. Philosophy can help there, too. The philosopher Boethius was a powerful official under the reign of Theodoric the Ostrogoth, until he was accused of treason. While awaiting execution, he wrote The Consolation of Philosophy (523), one of the most influential books of the Middle Ages. As my Cogito colleague Laura D’Olimpio has described, Boethius imagines being visited by a personification of philosophy, who explains that love of wisdom is the only true balm for the sufferings of his soul. 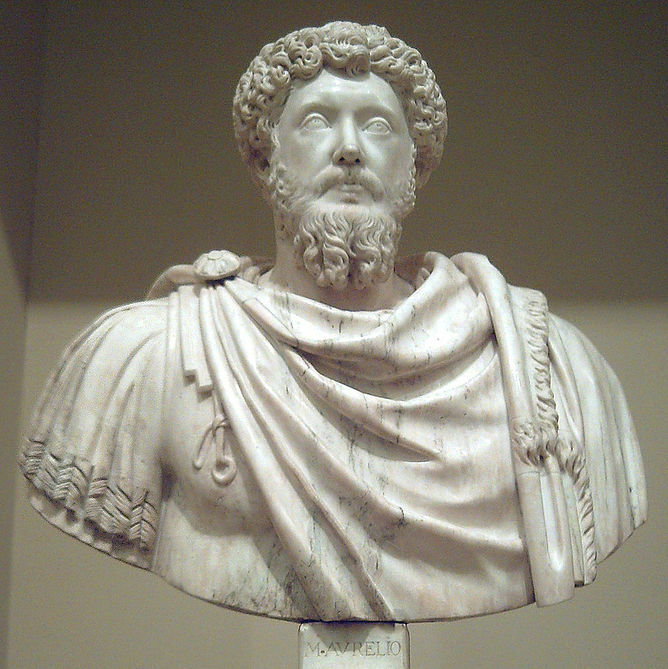 Marcus Aurelius, Stoic philosopher and Roman emperor (Museo del Prado). the paradox of a man shamed to death because he is only the second pugilist or the second oarsman in the world. That he is able to beat the whole population of the globe minus one is nothing; he has ‘pitted’ himself to beat that one; and as long as he doesn’t do that nothing else counts. He is to his own regard as if he were not, indeed he is not. Thus when the ambitious man, whose slogan was ‘Either Caesar or nothing’, does not become Caesar, he is in despair over it. But this signifies something else, namely, that precisely because he did not become Caesar he now cannot bear to be himself. Consequently he is not in despair over the fact that he did not become Caesar, but he is in despair over himself for the fact that he did not become Caesar. That’s a bad place to be. We’ve already seen what how corrosive that form of despair can be with one ousted PM and it looks ominously like we might be seeing it with another. If philosophy can help you avoid that fate, surely it’s worth taking a second look? PS: Do let me know if I can offer any reading suggestions. Always happy to help.